We researched for what felt like an eon and examined over 6 popular Single Din Head Units in the current market. And now we can confidently say that Pioneer AVH-3300NEX 7″ Flip-Out DVD Receiver with CarPlay is our best bet when it comes to Single Din Head Units. The performance, durability and easy sync options are what make it worthy of this title. For a more affordable but equally stunning model, go for the DEH-150MP CD Receiver. 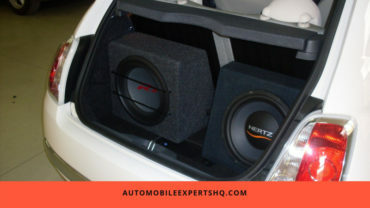 At just $59.95, it is all that your car audio system absolutely needs and a lot more. Read on to know the key factors that you need to take care of while picking out a new one. First of all, let’s discover what actually is a Single Din Head Unit and why you need to care about it. Essentially, it is the deciding factor when it comes to the various basic as well as advanced features of your vehicle. 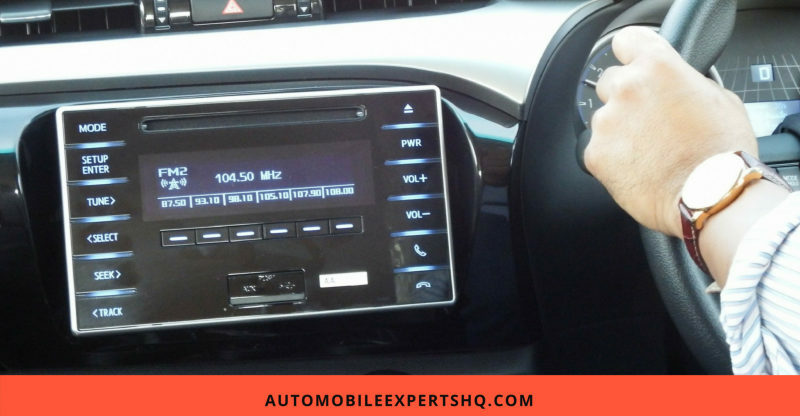 The audio quality of the speakers, ease of connection with different kind of devices and many other significant features are determined by this head unit only. Whether we like it or not, smartphones are now omnipresent in our lives. And we can actually use its resourcefulness while driving around. So, it only makes sense to go for a head unit that supports smartphone integration. This way we will be able to listen to our favorite tracks, receive important texts and calls while wandering and benefit in a number of ways during the otherwise uneventful commute. We can also sync the smartphone apps with our head unit and enjoy the pinnacle of ease and comfort. It is the sound quality that suffers the most in case of substandard head units. Usually, they lack the crystal clear and surround sound effect that the high-end models are famous for. But you can also be a bit tech savvy and go for the budget models that come with preamp outputs. This way you will have no problem connecting digital sound processors, amplifiers, and other useful add-ons to improve the sound quality later. You want to hit the sweet spot when it comes to the aesthetics sections. Going for a model too advanced might make you feel like a dinosaur when you decide to rather not use it altogether since it is too complicated for your liking. On the other hand, a stone age clunky model is only going to irritate you since you will have to deal with those infinite buttons that choose to get stuck at the worst possible time. Always make sure that your head unit system has CEA-2006 compliant rating. This will ensure that the sound quality and other features of the unit have been calibrated to offer you the optimum performance. Even few of the expensive head units skip this feature and you have to pay its price later on. So take care of the power rating in detail before you pull the trigger on the purchase. Let us check out the top 6 Single Din Head Unit models that are worth exploring. Today, we have got a wide range of Single Din Head Units in the Market. Each one of them comes with its own strengths and weaknesses. So let us take a look at the top 6 of these models and figure out the best option for us. Though the DEH-150MP CD receiver is an entry-level model, still it comes with a wide range of advanced features. It has been designed in the new style format along with the convenience of a detachable faceplate. It is priced at just $59.95 to make this unit highly affordable for the prospective customers. The display is 35% larger than the average model. Comes with LED backlight and multi-segmented LCD and single line options. Turn up the comfort with its complimentary wireless remote control. Enjoy optimum performance with the CEA-2006 compliant amplifier. Has the sustainable configuration of power output: peak: 50 watts x 4 channels. Even after installing additional parts, sometimes the audio fails to work as expected. Occasionally, Bluetooth option becomes useless after only a few months of use. We found a lot of in-demand features incorporated within JVC KD-R888BT CD/MP3 Car Stereo. It includes the presence of elusive option such as Audio Streaming iHeartRadio, hands-free calling and many more together in a single package. At just $99.95, it is quite a steal for the always on the go crowd. Wireless Bluetooth technology along with the wired mic option is present. Get the benefit of Audio Streaming & Control (A2DP, AVRCP) add-on. The configuration of the compatible connector type is 4 pin USB Type A, Mini-phone stereo 3.5 mm and RCA x 2. Other additional benefits include USB, audio line-in, rear line-out/subwoofer output and front channel output. In most of the cases, a Free NUTEK Earbuds offer is still active. Bluetooth fails to connect with the latest smartphone models. Few of the buyers are complaining that the audio is crackling and distorted. This luxury model is priced at $249.95 and rightly so considering the variety of innovating and helpful option we avail with it. Here, we are treated to the premium LCD display experience along with the breakthrough SiriusXM Ready technology. The display color is white and the buttons come with 4 possible color options to choose from. The Peak Power Output estimate is 50 watts x 4 channels. For the RMS Power Output, it is 18 watts x 4 channels. And finally, the Preamp RCA Outputs is in 3 Pairs for the Front, Rear, and Subwoofer outlets. With the Dedicated Subwoofer Preamp RCA Output, the performance will always be stellar. The crisp and clear audio is a given with the 9-band built-in parametric equalizer. Comes with 6 present AM and 12 preset FM stations. Compliance with the CEA-2006 standard makes it all the more of a reliable purchase. We also get full one-year parts and labor warranty with it. Not compatible with a string of recently launched smartphones. Bluetooth mic fails to sync on multiple occasions and even the Bluetooth connectivity option waivers. The most brilliant feature of this model is its highly responsive and resistive touchscreen. We also get the powerful and intuitive NEX interface that makes the entire driving experience outstanding for us. Then there is the benefit of being able to connect with not just one but two smartphones simultaneously with this unit. This makes it possible to work and leisure around with twice the comfort. The amplifier adhere to the CEA-2006 guidelines completely thus making it easier for us to enjoy its performance uninterruptedly. The price tag of just $499.99 makes it a reasonable deal considering all its bells and whistles. External wired microphone makes it possible for us to communicate in a clear and audible manner. The VR feature of Google Voice is enabled in it for the Android devices. Inbuilt Bluetooth enables us to connect and stream music without any hassles. 24-bit Digital to Analog Converter makes its use more flexible and convenient. We can also control and view the compatible iPhone and Android apps with the Pioneer AppRadio One feature. Android Car Play option is missing from its list of compatibility apps. Integration process might get a bit tiring at times even with this top-line model. We get to enjoy a number of latest features such as the Android Auto and Apple CarPlay among others. It is priced at only $462.81 which is quite reasonable considering its wide scope. Currently, it is the only Single Din Head Unit system that offers both Android Auto and Apple CarPlay options together. A wide range of sound shaping features makes it all the more desirable to the music enthusiasts out there. We noticed that it basically aims at replicating the ease and comfort of a smartphone screen in our car controls. And so far it has been tremendously successful in doing so judging by the market response. The sleek 7 inches touchscreen comes in handy when we want to browse the ton of options that it has to offer. Being a fold-out VGA touchscreen, it makes sure that there is no clutter in the car dashboard area. Touchscreen interface can also be easily customized according to our mood and choice. The user-friendly and intuitive menu makes it extremely easy to use all the amazing features. The inbuilt Bluetooth technology provides hands-free calling alternative as well as audio streaming. We can not delete the selected items from the USB directly through its interface. The current selection of audio/video or other media stops during the selection process. We can confidently say that customization is the winning feature of BOSS Audio BV9986BI Single Din Car Stereo. It comes with the whopping 7-inch LCD monitor that instantly makes it all the more convenient and efficient. The multi-color illumination option will literally never let you have a dull moment as long as you are in your hot wheels. The durability of this product is further ensured in the form of 3 Year Platinum Online Dealer Warranty. All this and a lot more at $124.99 makes the case for competitive pricing so that we, the buyers, emerge as the ultimate winner. The controls are available to manage and moderate the treble, volume, bass and other aspects of the audio. Various accessories that we get along with this unit include the Wireless Remote, USB Adapter and a Detachable Panel with Storage among others. The input ports in the system are available for USB, SD, Aux, AV, Rear Camera and Steering Wheel Control. Video, Front, Rear and Sub Pre-Amp output ports can be found in this unit too. DVD/CD/MP3/WMA/USB/SD and Smartphones are all compatible with this Single Din Head Unit. Some customers are complaining that it has quite a tricky installation process. Intermittent operation of the screen and audio in some units have been reported. Buying a Single Din Head Unit is not a one day chore. If you want to be actually satisfied with your purchase and not look for a replacement within a week itself then do some thorough research in this area. One of the time-saving ways to get some helpful advice is with the help of genuine online reviews and ratings. Our final pick in this comparison is Pioneer AVH-3300NEX 7″ Flip-Out DVD Receiver with CarPlay because of its outstanding performance. Are you planning to replace your car controls too? If yes, then which model are you most partial to and why? Tell us all about it in the comment section below. And while you are at it, invite your friends and family over there too for the discussion by sharing this article with them over their socials.